Discover the beauty of the Emerald Coast at Destin West Beach and Bay Resort on Okaloosa Island! 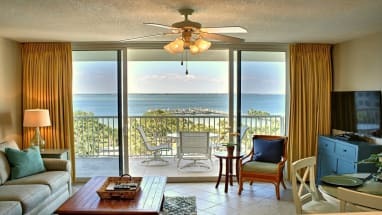 These pristine vacation rental condos offer several resort amenities, a gorgeous location and Gulf and Choctawhatchee Bay views. This complex also offers complete access to the pools, bars and restaurants located at the Ramada Plaza Beach Resort at Destin West. There is also an elevated walkway at the resort that crosses highway 98 making it easy to explore the property! 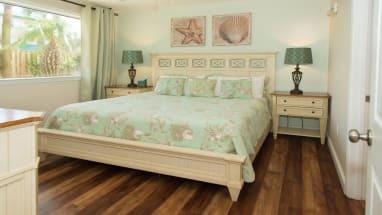 Spend your days fishing or swimming in the Emerald green waters of the Gulf and finish your afternoon with some shopping at one of the many centers and a nice meal at one of the numerous local restaurants. 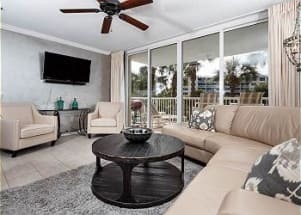 Destin West Beach and Bay Resort on Okaloosa Island is a family favorite vacation destination and we are glad to provide you these properties for you to experience it. While you are close to all that Destin Florida has to offer, there is plenty to do at Destin West and you can spend endless days relaxing at the resort! Emerald Coast By Owner wants to help you book your trip to Destin West Beach and Bay Resort. Please contact one of our property owners directly and they will gladly help you plan your dream vacation. Booking directly with the owners and managers here is the best way to assure you are getting the best price and the best service. 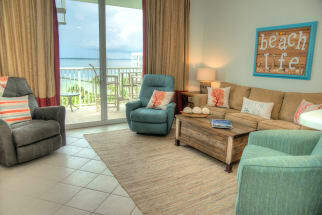 We hope you enjoy your stay at Destin West Beach and Bay Resort on Okaloosa Island.